Middle Tennessee, with Nashville as its anchor, has long been noted as the state’s center of government and the world’s center for Country Music. Excellent public and private education, no state income tax, an overall low property tax rate, a favorable work force, along with Tennessee state government’s aggressive pursuit of businesses to relocate to the area, have led many national companies to call the Middle Tennessee home. This diverse business climate now includes HCA, Nissan, Dell, BellSouth, and Saturn. Additionally, the regional draw of the Tennessee Titans NFL football team and the Nashville Predators NHL hockey team facilitates the recruitment of employees throughout the United States. 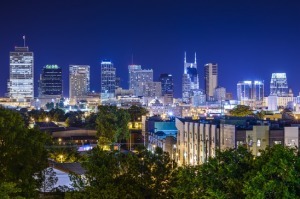 Middle Tennessee is growing by leaps and bounds and Nashville real estate is booming. Landscaping in Nashville is as diverse as the city around it. Let us take care of all your lawn care needs in Nashville TN.